Finding happiness in creativity can not only boost your mood but also help you work towards being a better version of yourself. Individuals who wear a smile on their faces, instantly increase the positive emotions within others. I believe that bullet journalling is the answer to finding true self-love and appreciation that in turns generates happiness. A bullet journal is a place to dump all of your thoughts. It comprises of to-do lists, weekly plans, long-term goals, habit trackers, doodles and more. Being organised can make you feel much happier about yourself. But honestly, starting, creating and working on a bullet journal can increase your feelings of happiness. It gives you a purpose, something to work on daily and a creative focus in life. Let’s be real here, finding happiness is difficult at times. The world around you might be falling apart and locating the positive aspects of life is trickier than usual; however, this is when a bullet journal steps in. Finding happiness in creativity is a good place to start and here’s why: creating something by hand, brings about “pleasure, meaning and pride” and therefore enhances mental-wellbeing according to Carrie Barron who believes in The Creativity Cure. Being creative is not merely just painting, being ‘artsy’, creating music or partaking in theatrical productions. It is by no means limited to these realms of creativity, as by very nature of being ‘creative’, one is able to think outside the box, come up with new ideas, solve problems and think thoughts through. It’s easy to become completely immersed in creative activities and forget about everything else in that current moment. Creatively is closely linked to self-reflection, self-expression and self-awareness according to Lebowitz. Addressing negativity (stress, trauma, depression, anxiety, etc) in a creative manner can help alleviate them and allow you to come to terms with those feelings, worries or concerns. 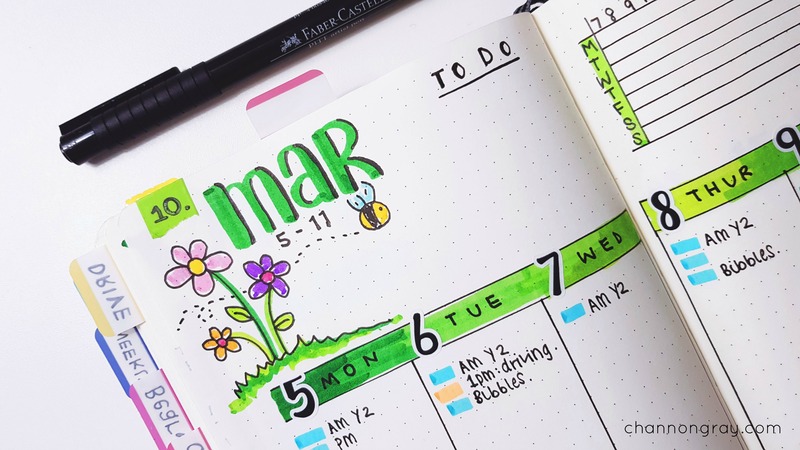 Bullet journalling allows you to work through these processes and therefore move beyond that which is affecting you; in a way that is accessible and as simplistic as you make it. Allows one to express and therefore process emotions. It feels amazing to actually be creative and produce something tangible. It’s a focusing inducing activity. However, it’s important to note that being creative does not always require perfectionism, neither does bullet journalling. It is as neat as you want it to be and the whole system relies on rapid thought dottings. Finding happiness in creativity will never demand perfectionism but simply, that you give it a go and see if it is for you. Writing everything down eases the mind! Writing is dubbed as one of the best ways to combat and overcome depression, anxiety and stress; this is mainly because the mind is at ease once thoughts hit paper. 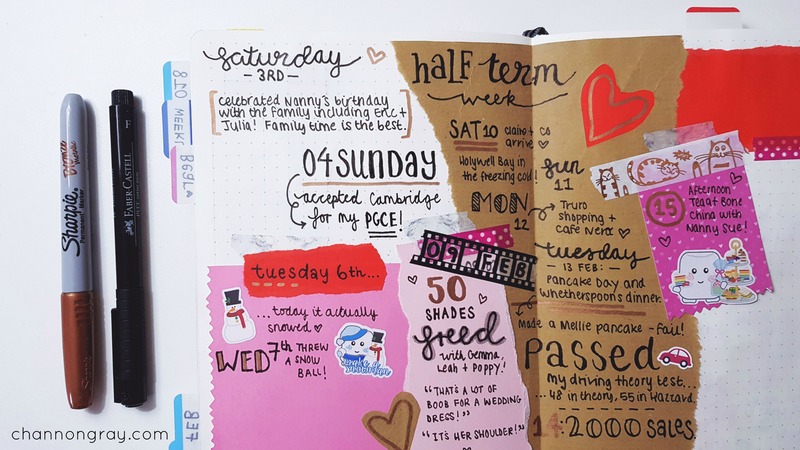 Therefore, using a creative outlet, like bullet journalling, to document your worries/concerns, habits and daily thoughts seems like a logical system of organisation to use. Also, by writing everything down, you’ll not only be able to remember all that which is important but likewise be able to work through all of the thoughts on paper. I believe that happiness is found once you achieve goals and/or find life-satisfaction. 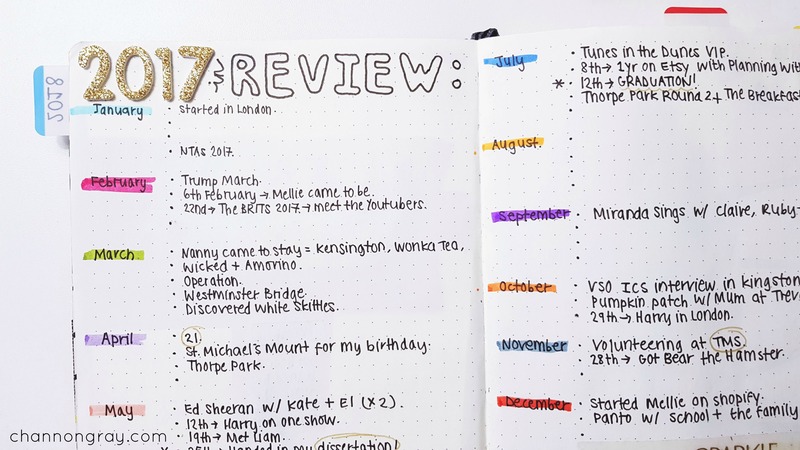 A bullet journal is a place to track goals, short-term or long-term, as well as to note when you achieve them. Once a goal is written down, you may feel more committed to achieving it or checking it off your long-list of things to do. 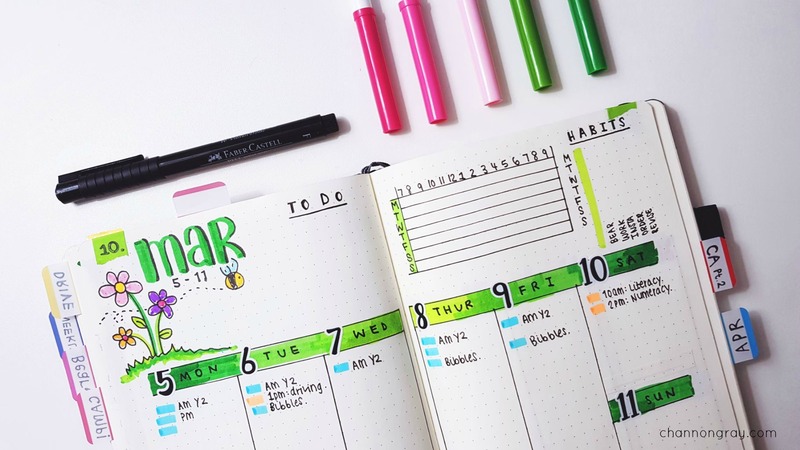 A list of goal tracking spreads include: budgeting, bucket lists, academic achievements, career progress, weight-loss, healthy-eating tracking or exercise logs. 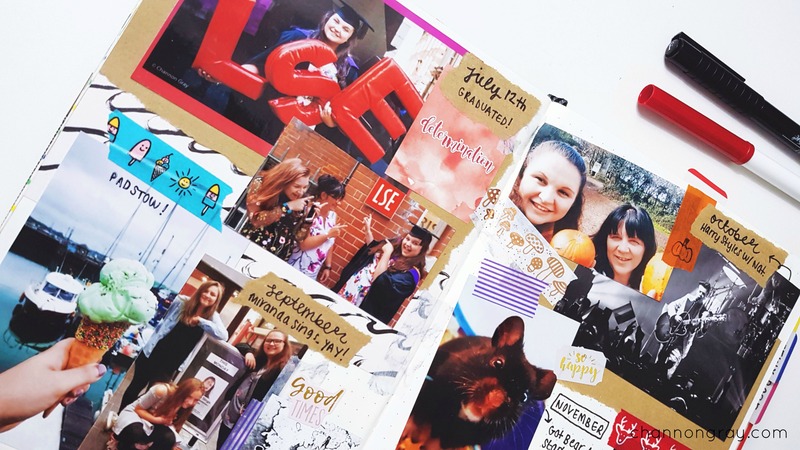 Here are just a few bullet journal spread ideas that might help you find happiness in creativity. In a gratitude log, you simply write a few words or one positive sentence a day. It could be that you woke up before 9am or ate breakfast or that the sun came out. It does not have to be anything grand, but simply something that you are grateful for that day. 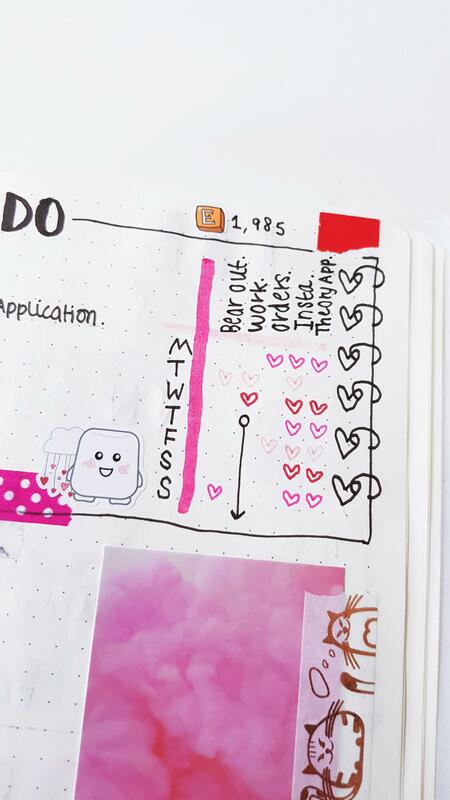 Tracking happiness and/or mood in a bullet journal is an effective way to be made aware of your self-care routines, feelings and emotions. There is a lot of inspiration on Pinterest should you find yourself stuck for ideas on how to do this. Doodling is a great way to ease the mind. Doodle whatever makes you happy or suits your ability. Then again, do not be afraid to try something new! This is similar to the gratitude log, however, it could be in the form of photographs from a special day/event or doodles to help you remember what happened. Failing that, if you find your creativity is unleashed through writing then write about those special days or funny moments. Storing positive quotes within your personal bullet journal is a great way to access them easily. They can then serve as a constant reminder for reasons to be happy. As I’ve mention above, writing worries down or setting goals within your bullet journal is one way to boost happiness. However, creating lists of things you love, wish to have or want to do, enables you to reflect clearly on what you’d like in life or for when you are having a bad day, you can look over your list of ‘things that make me happy’, for example. I’d recommend joining bullet journalling groups on Facebook, such as the Boho Berry Tribe. or come over and contribute to my private group, PlanningWithC. 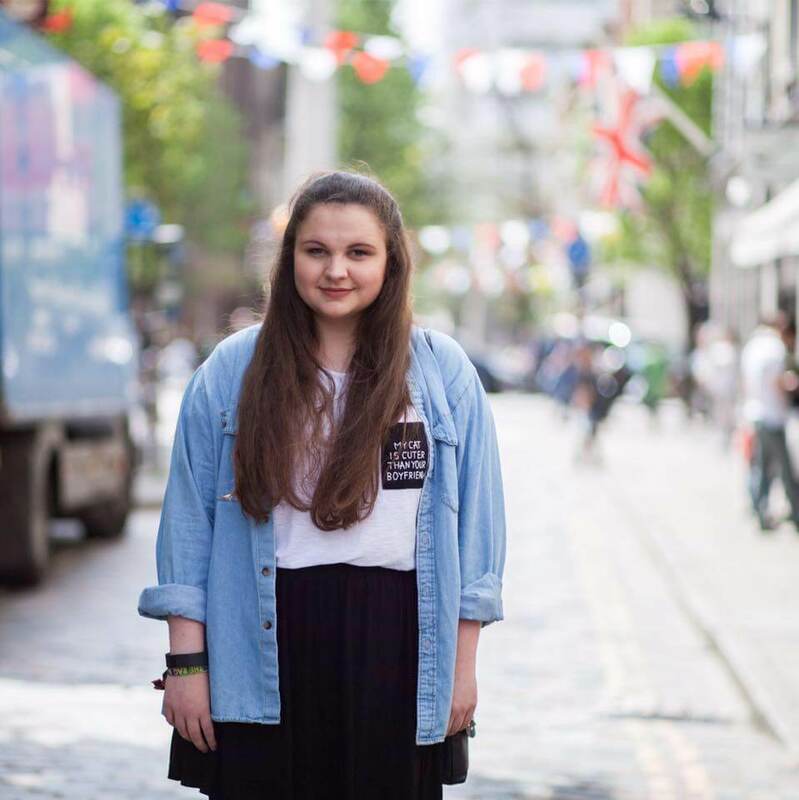 Everyone is incredibly friendly, loving and full of inspiring ideas! 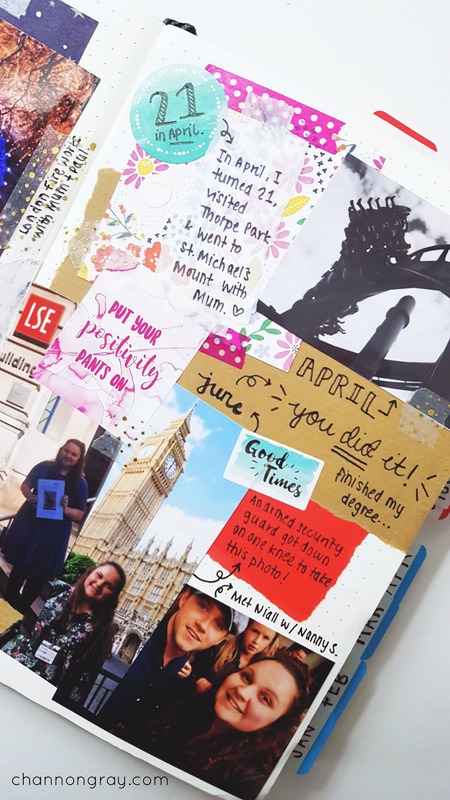 I hope that you now feel inspired to be finding happiness in creativity using the bullet journalling system or at least give it a go! I’d appreciate any further ideas or experiences related to this you’d like to share in the comments below or alternatively you can get in contact with me here. Wow! 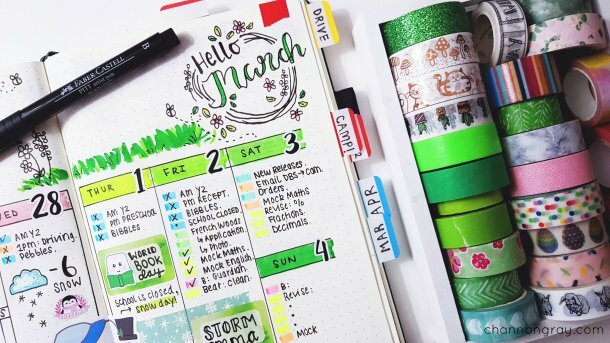 I’m so impressed by your bullet journal. As a concept, I got introduced to this a couple of years back and since then I have made a few attempts to create my own. I’m not even 1% as creative as you are but like you rightly said, it has helped me on many fronts. 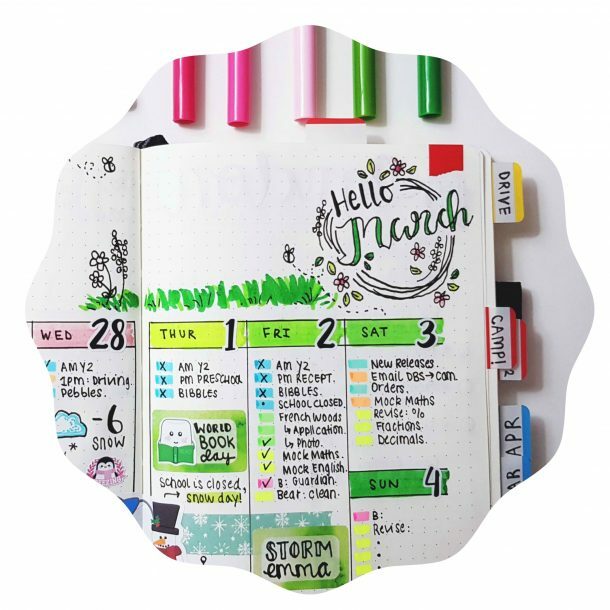 I have a monthly planner, a gratitude log and things to do all in one. I will check out your IG handle and adapt more for these awesome ideas you shared. Thank you ever so much. It means a lot to me as someone who truly cares about my journals. It doesn’t require absolute creativity, which by the way is entirely subjective! For as long as it functions for you personally, then it doesn’t matter what it looks like! Love the idea… just don’t have time! I understand what you mean, it appears that bullet journaling, especially in the way that I do it can take up TONS of time! But honestly, it doesn’t have to. I’ve been keeping journals for over 30 years. Not really bullet journals, but free-form writing. I think any journal keeping is wonderful. As you say, among many things, it helps ease the mind. 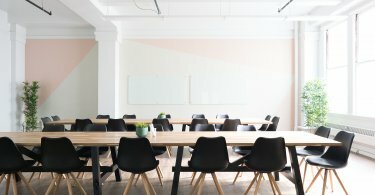 I agree, it doesn’t have to be a bullet journal but any kind of place to store ideas, creations, worries or memories (etc) does great things for the mind. 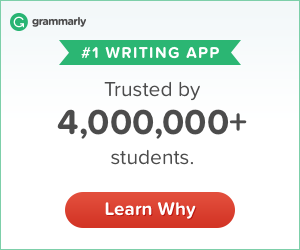 Do you share your journals anywhere for the public to see?! I’d love to have a look! I completely agree – it’s flexible and brings out the creativity in everyone who gives it a go! Please do give it a go! Your bujo spreads are adorable! I find the planning aspect of it all to be so much fun! Thank you so much. Planning is so satisfying! I love it! 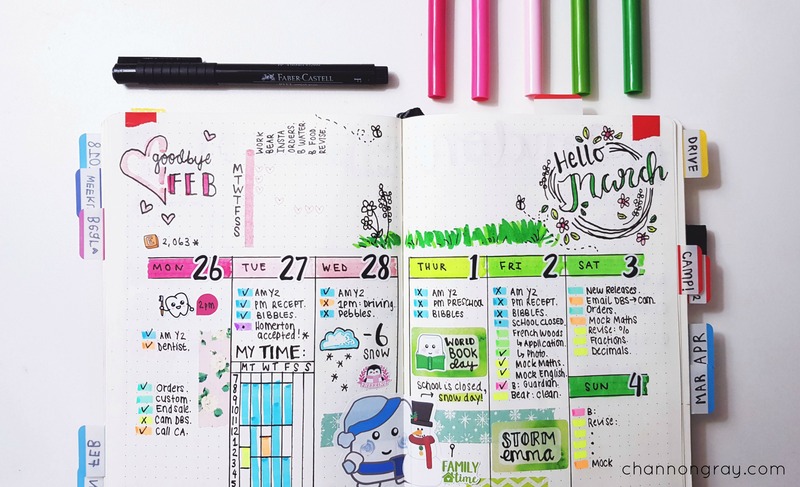 Your bullet journal spreads are beautiful Channon! ? I’ve recently started one myself and it really is such a great way to relax & unwind! It’s just really therapeutic I think! Thank you so much Maya – I’d love to see yours, I’m just super nosey hehe! Great post! I LOVE my bullet journal! Mine is a bit more minimalistic, but i love how creative they allow you to be.!! ?